Mr. Quinn received his Bachelor of Arts from Loyola Marymount University and his Juris Doctorate from the University of San Francisco School of Law. His practice focuses on the representation of employers and carriers in cases brought under the United States Longshore and Harbor Workers’ Compensation Act and its extensions, including the Defense Base Act. 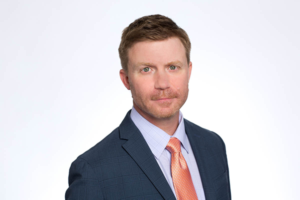 Mr. Quinn has conducted trials and litigation in venues in and outside of the United States and has served as a speaker at National conferences on a variety of topics related to his practice areas. Mr. Quinn is admitted to practice in California, including all federal courts within California and several Circuit courts. He was named a Super Lawyer Rising Star for Northern California in 2013.